Should I buy from companies with unethical parent companies? I am a label reader; when I’m in the shower, in the bath, waiting for something to cook, I’ll be reading the labels on whatever I’m using at the time. A few weeks back, I was reading the label on the back of my beloved Marmite, when I noticed they are owned by Unilever. According to their website, Unilever own 255 brands globally across the food and drink, home care, and personal care sectors. Some of these brands include: Ben & Jerry’s (who are bringing vegan ice cream to the UK ‘soon’), Marmite, Simple, Dove, Lynx, Vaseline and a whole boat load of brands you might use / eat every day. 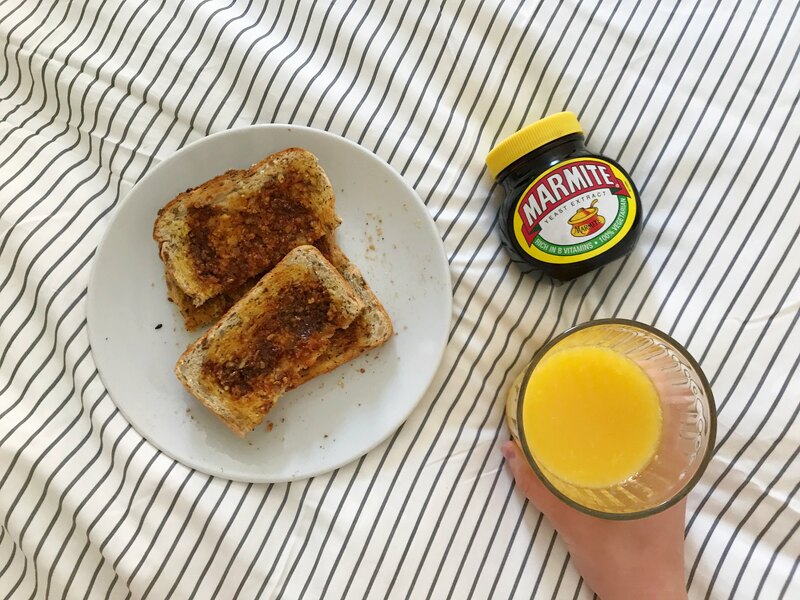 I don’t buy any hygiene or cosmetic products sold by Unilever because I disagree with animal testing, but seeing ‘Unilever’ on the back of a jar of Marmite stopped me in my tracks. How do I feel about buying food a company whose parent company test on animals, or I consider to be unethical? Surprisingly, animal testing is not just limited to cosmetics and cleaning products. I would never associate food products with animal testing (perhaps that is naive on my part) but while I was doing some research for this blog post I discovered that some food products are not cruelty free. In 2013, the British Union for the Abolition of Vivisection (BUAV) called out Unilever, Nestle, Yakult and Danone for testing food products on animals to allow them to promote health claims. That absolutely baffled me. Why? Why is that even necessary? Let’s take a look at the Ben & Jerry’s example too. I love that they have created vegan ice cream and are planning to bring it over to the UK; I want to support companies who are making being vegan easier, because hell knows I find it very hard. I also really want a vegan version of Phish food. If I choose not to support companies who test cosmetics on animals, doesn’t that mean I should boycott food brands which are tested on animals? Doesn’t it mean it should boycott food brands which might be cruelty free themselves, but are owned by a company who test other food brands or hygiene brands on animals? On the other hand, I could support cruelty free and vegan companies for doing good, fighting animal testing, and creating tasty vegan food. Some people choose to do this with cosmetics brands, let’s take Urban Decay as an example. Urban Decay are cruelty free but they are owned by L’Oreal who do test on animals. The argument is that it’s good to support companies like Urban Decay because they are cruelty free and maybe, eventually, in some kinda movie-like way, L’Oreal will go “wow, a lot of people support these cruelty free brands we own, so maybe we should quit being dicks to animals.” That would be amazing, but it doesn’t quite sit well with me. I hate the idea that my money might indirectly end up supporting animal testing or supporting companies with unethical practices. To counter that again, if you try to avoid food, hygiene, or cleaning products with unethical parent companies your weekly shop is about to get a lot harder, involve ordering from goodness knows how many websites and probably more expensive. I am between a rock and a hard place with this one and would love to hear your thoughts about buying from companies with unethical parent companies.